SYDNEY -- A teenager wanted by Australian police wasted no time to save face on social media after finding out that an unglamorous mugshot was being shared all over the country. 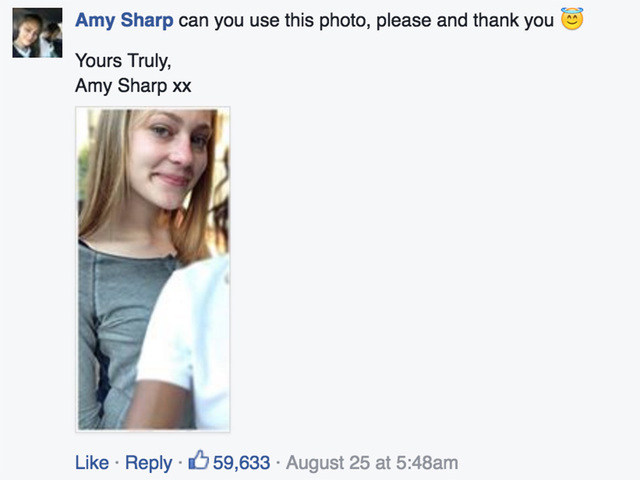 Amy Sharp, 18, replied to the Facebook post shared by a TV news station, which asked the public to call police if they identified her. Sharp, who was in custody for property offenses, had escaped from the Surry Hills Corrective Services Cell Complex, a correction center in Sydney, Australia. After seeing that her fashion faux pas was shared by police, she just couldn't even and kindly asked the station to use another photo of her, one that would make her look cuter. The narcissistic mistake might have been her undoing, as people suggested it might be easier for police to catch her after figuring out the location she uploaded the photo from. That hypothesis could have been the reason police found her only two days after the photo was shared with news networks. Sharp was taken to a police station after being caught last Friday. She is expected to be charged for escaping.